Rotary Club of Camrose Daybreak has been supporting worthwhile projects and organizations in our City for over 16 years. What could your organization do with some extra funds? Follow the link in the "Take a Look" section at the top of this web page to access the application form and guidelines. 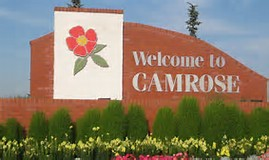 Completed forms can be emailed to camrosedaybreak@gmail.com with "Application for Funding" in the subject line.